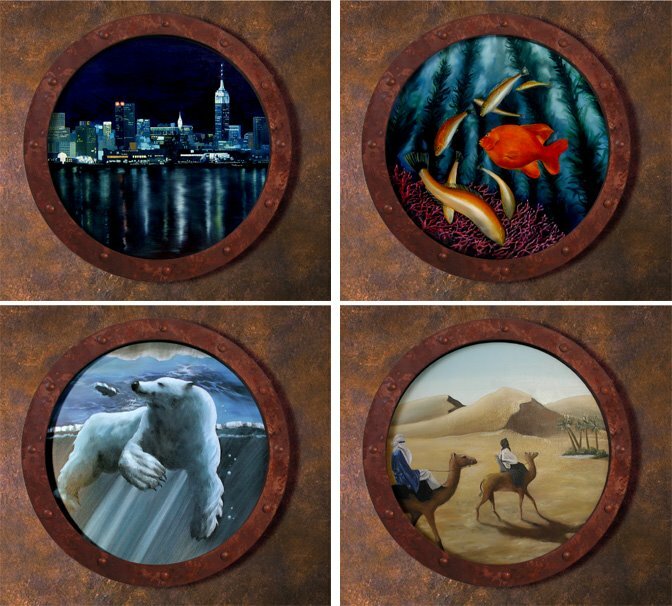 Finished the sub last week and here are some of the views through the portholes. 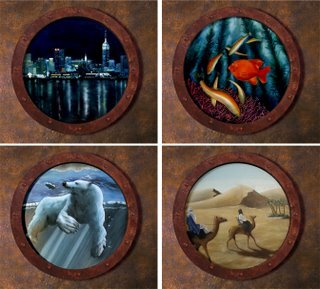 The wall is a metalic finished patine designed to look like rust and so are the frames of the portholes which are made of wood but to see them, even close up, you would think they were rusty iron. The paintings are done in oils. Unfortunately I didn't have good light to make decent photo's of the work but here they are anyway. The themes are at the clients request. Don't know why the desert is in there but they are happy, which makes me happy too. Lovely work! I think the bear's my personal favourite, though they're all gorgeous.